NAMM2016 Marshall Amps have been at the forefront of the guitar world for decades, and we stopped by to check out what’s new for 2016! Here’s a first look at the exciting Mini Jubilee amps! We were saddened to hear the news that Jim Marshall, founder of Marshall Amplifiers, has died at 88. He was the father of the noisy, screaming amps that helped musicians redefine the way popular music sounds. His legacy will live on in every amplifier out there. 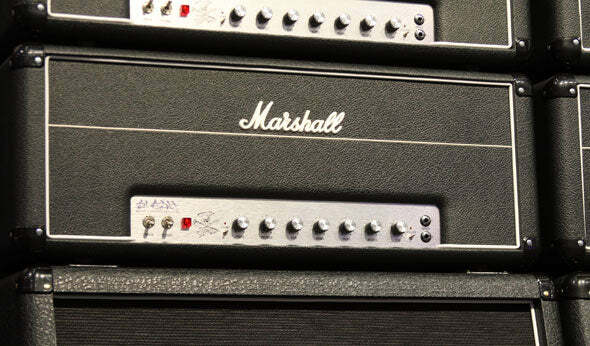 Slash and Marshall have teamed up to recreate the special 100-watt Marshall amp head used on the Guns ‘n’ Roses debut mega-hit Appetite For Destruction. The AFD100 head is the result, and has all the bluesy, hard rock tone you’ve heard on that album and then some. MAP Price is $1999.99 and we are taking pre-orders now.